A no-holds barred playbook on what the new right wing forces are doing to control the media and messages of the 2016 election, as well as Hilary Clinton. Fiorina’s message about her 2016 run, her grassroots Unlocking Potential Project, conservative principles, and how to connect them to ordinary people. Cruz’s inside look at what’s gone wrong with our government, while passionately fighting for limited government, economic growth, and the Constitution. On Carson’s journey from an inner-city childhood in Detroit to one of the most successful pediatric neurosurgeon-directors of John Hopkins Medical Institutions at the age of thirty-three. On the importance of reading, thinking, and studying our Constitution and the Bill of Rights, as well as their history. Recently updated and reissued, Sanders writes on his political journey from Mayor of Burlington to U.S. Senator of Vermont, his style of politics and responsibilities, and policies and issues the U.S. needs to tackle in its future, so that millions of Americans will no longer be outsiders in their country. On the former Florida governor’s controlled politics and message, as well as his socio-economic policies and their impact on Florida — from business recruitment and the extensive privatization of state government, to culture wars, gun rights, end-of-life issues, immigration, and education reform. Trump tells how America needs to fix its ailing economy, reform healthcare and education, build its military and win wars, with a government committed to winning and experienced in it. 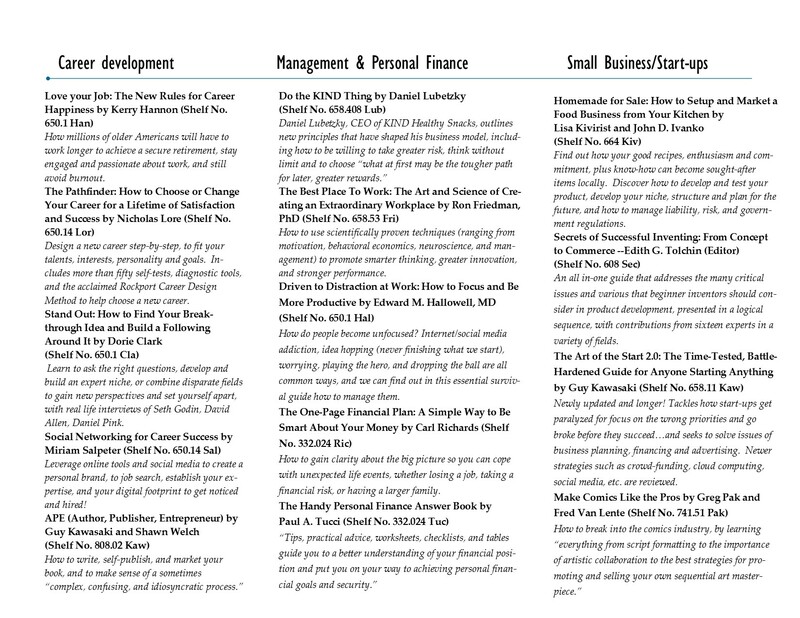 The Fabulous Entrepreneur Henry Flagler would have read these…. 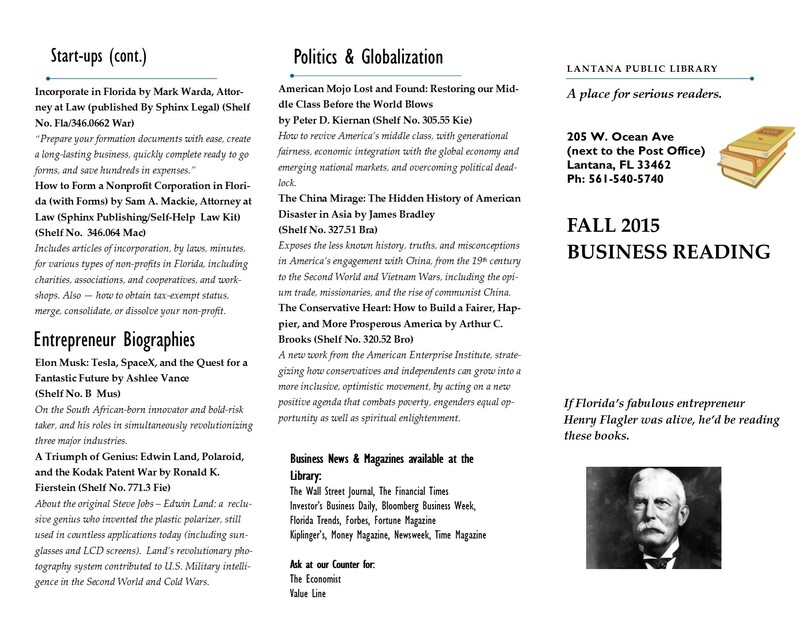 Lantana Public Library has excellent new fall 2015 business books, as well as current affairs magazines, and newspapers (hard copy and online). Please click on our flyer below to see new titles, stop in to visit us, or head over to our e-Resources page to log in and read our e-Zines. You may also check their availability in KOHA, our on-line catalog. Lantana Public Library has other excellent works in its collection on Founders and also on Colonial history, including recent studies and classics related to Thomas Jefferson. Here are some brief reviews and reflections on some of them. “Where some saw hypocrisy, others saw political agility. As long as a political leader has some core strategic belief — and Jefferson did, in his defense of republicanism — then tactical flexibility can be a virtue” (p. 254). Jon Meacham’s recent biography of Jefferson focuses more on Jefferson’s politics. He views Jefferson as a “creatively flexible,” “transformative leader” who championed the individual American’s liberty and rights and also exercised executive powers pragmatically when required. Jefferson was a brilliant dinner table politician who carefully listened and brilliantly conversed to both opponents and friends, always avoiding direct confrontation Jefferson by turn seeking to charm, fascinate, discern, enlighten, or indoctrinate. Meacham offers that Jefferson came to view the acts of his compatriots for representation and self-determination as justified by Britain’s own Glorious Revolution of 1688-89, which had deposed the absolute monarch James II and passed a Bill of Rights that protected liberty and free elections and limited the power of monarchs. Paul de Rapin-Thoyras’s history of England and Henry St. John Lord Bolingbroke’s political writings, as well as other classics such as Tacitus’ Germania, likely led Jefferson to view Britain’s authority to tax colonial Englishmen and limit their representation as monarchical tyranny reminiscent of the mother country’s Civil War and the Restoration periods. Meacham observes that Jefferson never governed with blind self-interest or rigid ideology but with tactical maneuvering or expansion wherever possible. Some examples: Jefferson’s infamous abandonment of Richmond during the raiding British and Gen. Benedict Arnold in Jan. 1781 was understandable and defensible as intelligence at the time was unreliable and the Virginia militia defense uncoordinated. Also, Jefferson’s secret, divisive acts of plotting while serving as Vice-President under the Adams’ Presidency were arguably artful politics to survive and prevail in the toxic political climate of the Alien and Sedition Acts. Lastly, Jefferson expanded Executive authority quickly and decisively by upholding Madison and Livingstone’s negotiations with France for the Louisiana Purchase, and by overseeing its retroactive ratification by the U.S. Senate, as well as in imposing the Embargo Act of 1807. Meacham’s biography has also been critically reviewed. See Eric Herschthal’s Atlantic Monthly article of Nov. 1, 2012. Brodie’s is the first ground-breaking academic biography ever to claim Jefferson fathered children by a slave woman, Sally Hemings, and that Jefferson may have even likened his life-long relationship with her to the Biblical tale of Abraham and Abraham’s slave concubine Hagar. Brodie weighs Jefferson’s upbringing and privately charming and sensual, conflicted, tightly controlled psychological/inner psyche, alongside a carefully calculated and cultivated public life of partisan leadership and democratic simplicity. Jefferson’s privileged upbringing and adult life in colonial Virginia and the newly independent republic were certainly not trouble-free, as Brodie documents. 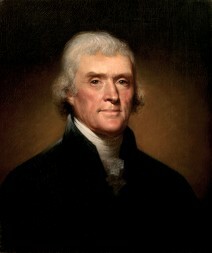 After losing his father prematurely and finishing his education, Jefferson came to head a large family while forced to assume and manage its inherited debts. He then began a turbulent political career in the Virginia legislature while continuing in demanding family relationships with a mother (and possibly his wife Martha Wayles Skelton) who likely held conservative/Tory sympathies. 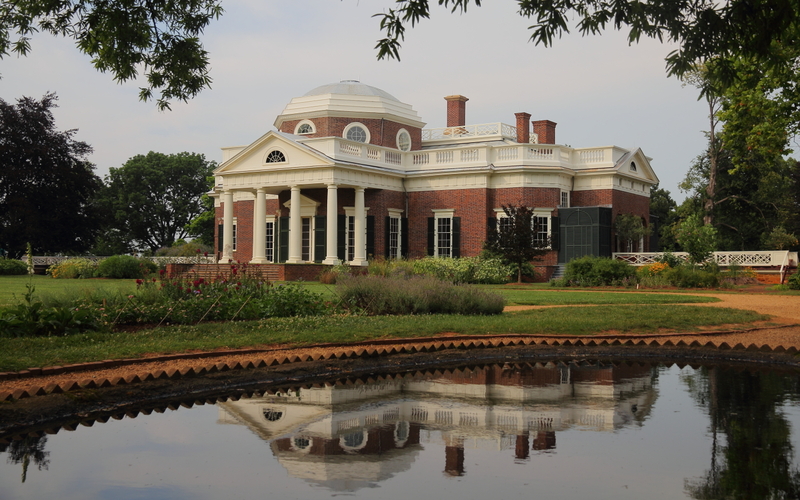 Throughout his lifetime Jefferson would sell or mortgage land, his slaves, as well as his famous 7,000 book library to Congress, to maintain social standing and multiple roles of family patriarch, plantation and slave owner, intellectual, politician, diplomat, and President. In this somewhat labored, but well-researched and exhaustive history of the Hemingses, we discover there were many of them in addition to Sally; she and her extensive family lived at the center of Thomas Jefferson’s Monticello and Poplar Forest plantations, as well as in Virginia itself, over several generations. As one learns, many of them were Jefferson’s unofficial in-laws, children, and shadow kin (through his father-in-law and deceased wife). Readers also learn much about the history of colonial Virginia and how its people lived with slavery (whereby a person’s slave status of a child derived from that of his or her mother, ensuring its perpetuity). My previous blog on Chernow’s Alexander Hamilton began what will be a series of blog posts to follow on what enlightenment and wisdom we may still discover in reading on our Founding Fathers and late American colonial history. For after all, there is so much now that has been re-written and revised, and journalist/critic Barry Gewen urges us in his piece of June 5, 2005, to consider divergent, global perspectives of our history that speak more directly to the needs of our time than do biographies of dead white Founding Fathers. We are missing, according to Gewen, the “bigger picture [that ]is in the process of being lost” and we are running out of Founding Fathers to write about. These concerns I hope to explore in reviewing some relevant historic works readers can find in Lantana Public Library’s collection. South Floridians…who remembers when water stretched everywhere we looked or stepped, in the savannahs of sawgrass, as well as hammock islands of pine, palm, mahogany, and cypress, brimming with life? Or remembers beautiful intra-coastal lagoons of lush mangrove and the fresh or sweet waters Miami, Loxahatchee, and St. Lucie rivers? Or remembers the rollicking life of Hialeah, the poachers of Homestead, and the famous Opa-Locka airport? Tom Shirley remembers, of course. 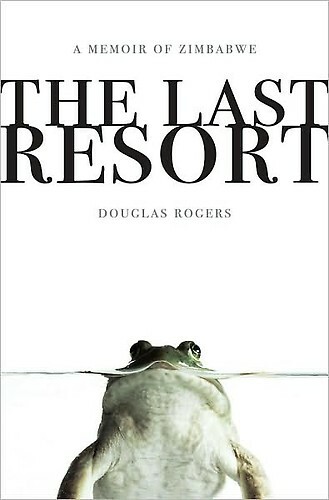 He recalls much of it for us with gusto in his memoir of his service in the Florida Game and Fresh Water Commission, from the 1950’s into the 1980’s. With South Florida’s urban sprawl and the Everglades in retreat, it is impossible to know of the drained wetland and coastal shelf we actually live on, its shifting boundaries with the natural world, as well as the dangers and challenges it once posed, as the Seminoles and glades people once did or perhaps still do. While working his own businesses and while in service with the Commission, Shirley was one of several pioneering men to re-design and improve on Glenn Curtiss’s famous Scooter airboat and recreational vehicles, first introduced to Florida in the 1920’s. These airboats and RV’s enabled modern travel into one of the last unknown areas of the United States. Shirley and fellow patrol officers spent thousands of hours tracking, chasing down, and arresting armed and dangerous poachers and monkey fisherman, rescuing wildlife including distressed and stranded deer and ornery alligators. 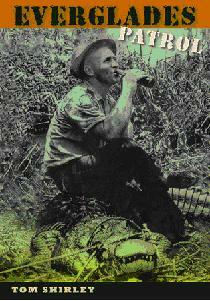 When not out in the glades, he also traveled widely — including trips with his family to the Amazon. Readers also learn of Shirley’s efforts for the restoration of the Everglades. (See his website, Evergladesrestorationfear.org). A Russian friend once told me she always thought of her country as a motherland. I wonder if the historical roots for such a view lie in the beginning of modern Russia — in the Romanov rulers after Peter the Great, several of whom were women — including Catherine II (the Great, born Sophia Frederica Augusta of Anhalt-Zerbst). I knew a bit about Catherine from high school history: that she was a German princess originally who came to Russia as a child bride of Peter III of Russia, that she transformed Russia into a great European power (both continental and maritime) in the second half of the 18th century, and that she famously took many lovers, including Gregory Potemkin. There were many curious legends about her sexual prowess. 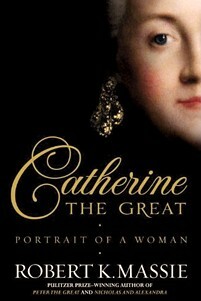 Robert Massie’s book, Catherine the Great: A Portrait of a Woman, reveals her as complex, intelligent, well-cultured, and enlightened ruler, but also that she was an autocrat who depended on the nobility for her power. Her younger years were spent reading and studying the Enlightenment thinkers and awaiting marriage, as a pawn of other’s ambitions. Her later years as a mature Empress transformed her into a wise, benevolent, yet also ruthless autocrat and ruler. Catherine was truly one of the greatest of early modern European rulers, influencing the 18th century as her counterpart Elizabeth I of England had the Renaissance. She was a woman never allowed to mother her own biological children (her son, Paul I, was raised as a ward of the state); she did, however, find love and possibly even marriage with Potemkin. She wrote an ambitious treatise inspired by Voltaire, Montesquieu, and Becarria to guide her subjects closer to democratic rule of law (the Nakaz), and she was a patron of many artists, scientists, and thinkers of the time. She also founded the first university for women (the Smolny Institute), and she was the first modern ruler to preside over a widely succesful national innoculation campaign against smallpox. Readers will be interested to learn more about serfdom in Russia, which wasn’t a holdover from the Middle Ages or medieval times (as I previously thought), but an institution formalized in the 16th century — the Renaissance. Serfdom had many parallels with American Slavery, and yet it differed as well. There is also a detailed account of the Pugachev Rebellion, centering around a pretender to the Russian Throne and a long, brutal civil war, which Catherine ruthlessly fought and won. I picked up a copy of Massie’s book after attending a reading he gave at the Miami International Book Fair last month. The book has been favorably reviewed by the New York Times on Sunday, Nov. 16, 2011. 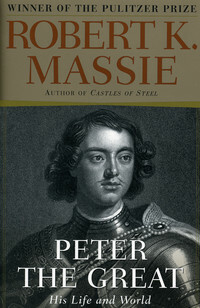 Lantana Public Library currently has Massie’s Peter the Great: his life and world (Call No. B Pet). This earned Massie the Pulitzer Prize in 1981.